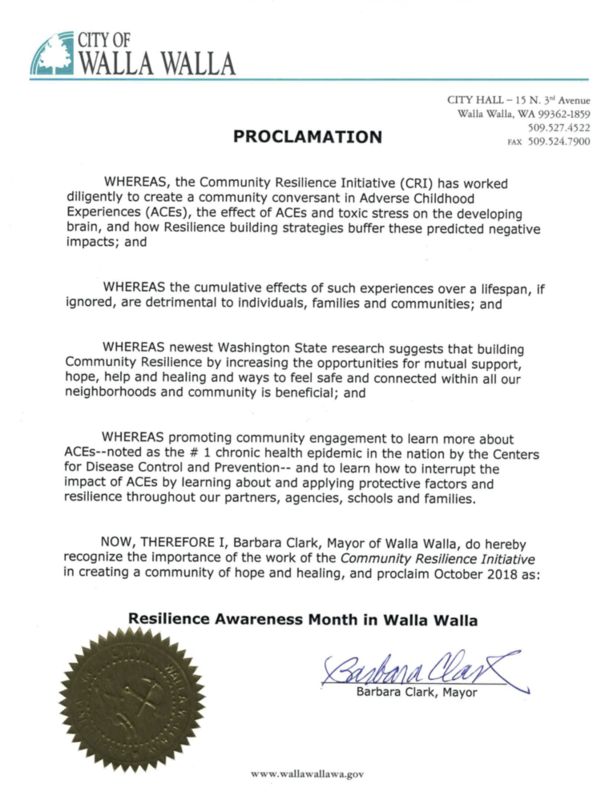 This week, Teri Barila of CRI kicked off October is Resilience Month with two proclamations- one with the city of Walla Walla, and the other with the county. Teri, accompanied by Tod Sullivan, met on Monday with the Walla Walla County Board of Commissioners to discuss efforts in increasing community-wide resilience, including raising awareness about trauma and ACEs and strengthening community partners. Teri and Tod spoke to the important role of community- above individual resilience- in addressing ACEs, as is central to CRI's mission. Listen to Teri passionately speak to Board of Commissioners in this podcast link here! 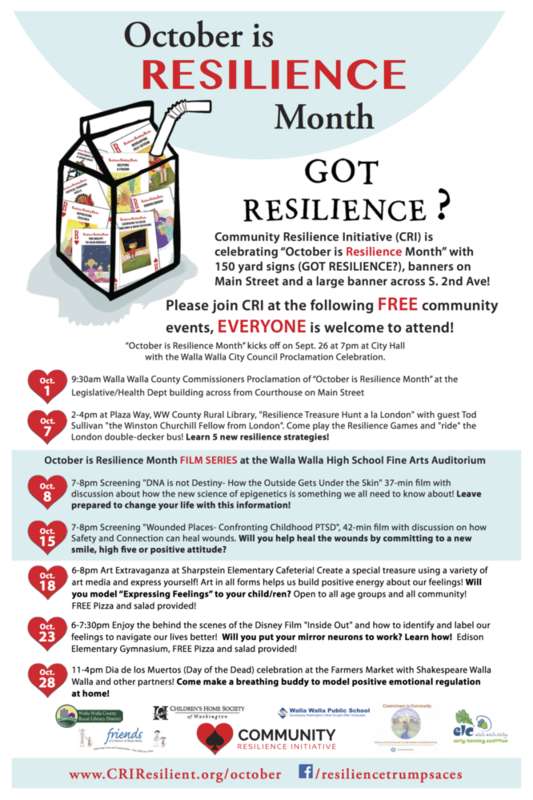 Last week, Teri and Tod presented similar information- CRI's mission and efforts, as well as Tod's Fellowship goals and observations- to the City of Walla Walla. Ultimately, a Proclamation gives formal recognition to a cause, and we are excited to receive the support of both the county and city of Walla Walla. View our official proclamation below! 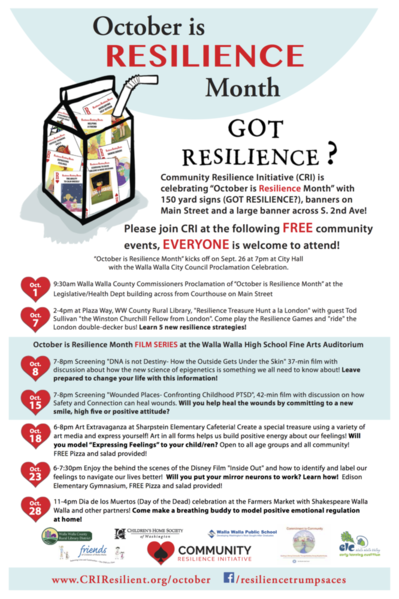 Don't forget all of our exciting October is Resilience Month events, including our Resilience Treasure Hunt with Tod Sullivan this SUNDAY! 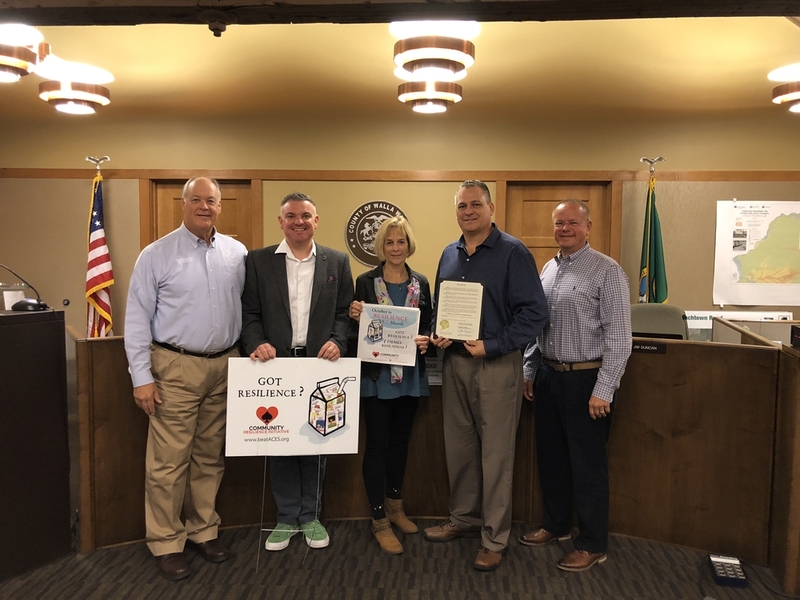 "A Proclamation gives formal recognition to a cause, and we are excited to receive the support of both the county and city of Walla Walla. "